You never know how you accumulate things over time and before you know it, it takes you ages to find or put away something because there is so much junk lying around the house. Have you ever thought about clearing out your loft or garage but haven’t got a weekend to spare? Why don’t you let our Crofton Park rubbish clearance firm, Handy Rubbish, handle the job for you. Just call us on 020 3540 8282. Throwing away rubbish seems to be a task that would need immense expertise, so why you have to waste money hiring waste clearance professionals in Crofton Park to do what you can do yourself. There are many reasons to do that. Bulky items that are not carried out in a proper way can cause you injury and doing it yourself takes too much time and effort that you may use elsewhere. If you do not have a van or a truck, transporting rubbish can be tricky, you might damage your household articles and fittings while trying to move items around. There might be additional problems that need to be solved during house SE4 rubbish removal such as mould growth, discolouration, recycling etc. Handy Rubbish is the only solution to all your SE4 waste removal services needs, domestic or commercial. In addition, we ensure that your junk is recycled as much as possible, thus making us an environmental friendly Crofton Park, SE4 rubbish disposal company. We understand how much you value your property, so we make sure that our clearing services cause minimum disturbance to your home or office and that the task is accomplished thoroughly and quickly. We are sure you enjoy staying at your home in Crofton Park, and there is no reason a bit of junk or rubbish to stay around you. 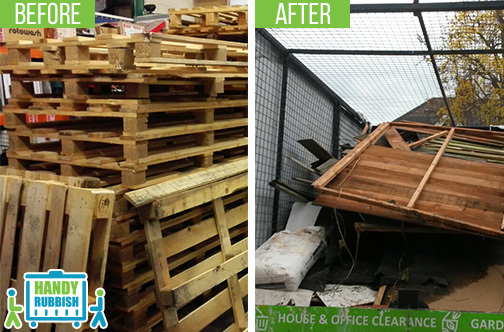 So whether it is Crofton Park waste collection, loft clearance, furniture clearance, garden clearance you need or the complete flat clearance package, so give our waste disposal SE4 a call at 020 3540 8282 for a free quote and find out how we can help you. Kind and caring staff, made the act of clearing out my deceased mum's flat in SE4 a little easier. Thank you for the efficient junk collection service. Took advantage of their cheap rubbish clearance service in Crofton Park. Couldn't have asked for more! This is one of the most dependable companies in SE4 I have ever worked with! The suburb of Crofton Park, in the London Borough of Lewisham, covers the postcode districts of SE4 and SE23. 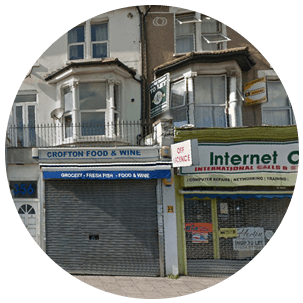 Crofton Park rests well in the middle of picturesque greenery and views from rolling hills and gives easy access to South East London Green Chain. Blyth Hill Fields and Ladywell Fields border the south east section of this region and one can easily look over Canary Wharf and theCity. The major attractions in this area include the Rivoli Ballroom, the Brockley Jack Theatre and the Arts and Crafts Gothic church of St Hilda. The place provides a variety of eateries serving, a range of cuisines, whether you want to go for exotic Indian at Babur’s or traditional fish and chips at Brockley’s Rock. The Brockley Jack is ideal for going out in the evening or if you prefer something cosy and classy, Mr. Lawrence’s Wine Bar hosting an excellent selection of wines and ales to pamper your palette. Crofton Park railway station is served by trains travelling in almost all destinations covering Blackfriars, Farringdon, Catford, Bromley, Sevenoaks. Besides that, the three closest train stations to Crofton Park are Brockley railway station, Honor Oak Park and Ladywell. A number of bus services also operate through the area linking it effectively to West End.